A pinball-inspired dungeon crawler packed with traps and secrets. The Nindies fun has no end in sight! 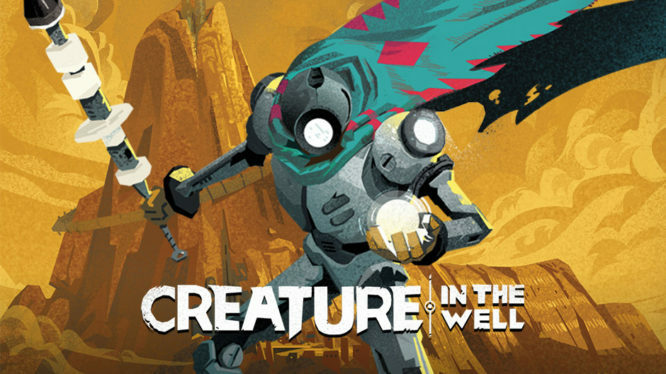 As Flight School Studio has announced their brand new title, Creature in the Well, will be heading to Nintendo Switch and PC this Summer! Combining the power of pinball with a hack-and-slash dungeon crawler, Creature in the Well is a unique indie title that you’ll probably want to an eye on! In this new top-down adventure, players are tasked with unlocking the ancient powers of an ominous facility to take on an “all-seeing Creature” and restore order to the city of Mirage. As the last BOT-C unit in existence, it’s up to you venture into the desert mountain and take on whatever lies ahead! Sporting eight dungeons with a multitude of traps and challenges placed by the Creature, players must use the environment to their advantage in order to succeed. Solve pinball-inspired challenges by charging up orbs and ricocheting them around the environment, customise your play-style using various combination over 20 upgradable items, and uncover the various secrets that dwell within. Creature in the Well is set to release on Nintendo Switch and PC at some point during Summer 2019. No official price has been announced yet. If you can’t wait to see the game in action, then feast your eyes on the announcement trailer below.